Now in its fifth year, XOXO started here on Kickstarter—selling every ticket to the inaugural event in two days. 735 backers pledged $175,511 to help bring this project to life. Update: 50 hours after launching, we're sold out of conference tickets! Thank you! If you missed it, you can still grab the DIY Kit to experience some of XOXO at home. Or come out to the market, which will be open to the public on September 14-16. All the details are on the official XOXO site. Hey Kickstarter! We're organizing XOXO, an arts and technology festival in Portland, Oregon this September 13-16th. XOXO is a celebration of disruptive creativity. We want to take all the independent artists using the Internet to make a living doing what they love — the makers, craftspeople, musicians, filmmakers, comic book artists, game designers, hardware hackers — and bring them together with the technologists building the platforms that make it possible. If you have an audience and a good idea, nothing’s standing in your way. Conference (Saturday – Sunday). 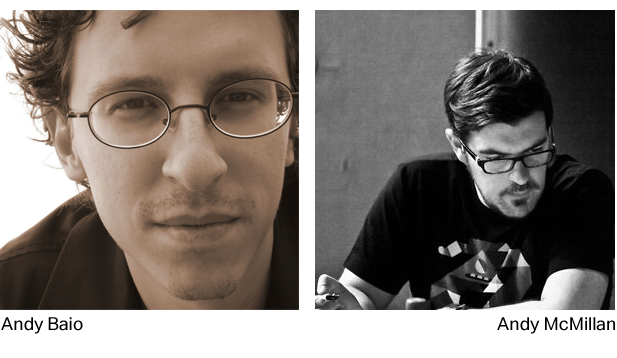 Talks from artists and creative technologists around the country that are breaking new ground. Market (Saturday – Sunday). A large marketplace with a tightly-curated list of the best of Portland's arts and tech scenes, sharing and selling their work, with food supplied by the best of our thriving food cart scene. Fringe (Thursday – Sunday). A series of unique events around the city, including live music, film screenings, indie videogames, and craft beer and coffee tastings. Portland's the perfect place for XOXO — it's the most independent and DIY-friendly cities in the world, which runs through every part of its culture. It's no wonder that Portland's one of the biggest cities on creative platforms like Kickstarter and Etsy. This is a great way to experience the best of Portland under one roof. On the top floor of XOXO, we're building a stage to host a single-track of talks from people we love who are changing the world. Confirmed speakers include the leaders of amazingly creative communities like Etsy, Kickstarter, Canvas and Metafilter, the fiercely independent creators behind World of Goo, MakerBot, Indie Game: The Movie, Star Wars Uncut, Diesel Sweeties and Black Apple, and industry-changing startups like The Atavist, Simple, CASH Music, and VHX.tv. Downstairs, we're taking over the entire ground floor to bring the best of Portland to you — a curated selection of stalls and booths from our favorite local creators, with an active schedule of workshops, performances, and signings throughout each day. Outside, the market continues with some of our favorites from Portland's ridiculously active food cart scene, featuring a sampling of some of the best food and drinks the city has to offer. We're still reaching out to creators and making the schedule, and we'll announce the festival's project lineup and food carts as we have them. We’re taking the ideas behind the conference and building a fringe program around it, teaming up with local partners to take over venues around the city for a series of unique events, including lectures, workshops, hackspace, live music, film screenings, indie videogames, a craft beer festival, meetups and parties. This is a perfect opportunity to experience the best that Portland has to offer, to explore the city and interact with its rich maker culture with other like-minded attendees. We’re deep into fringe event planning, and will announce updates as the schedule comes together. 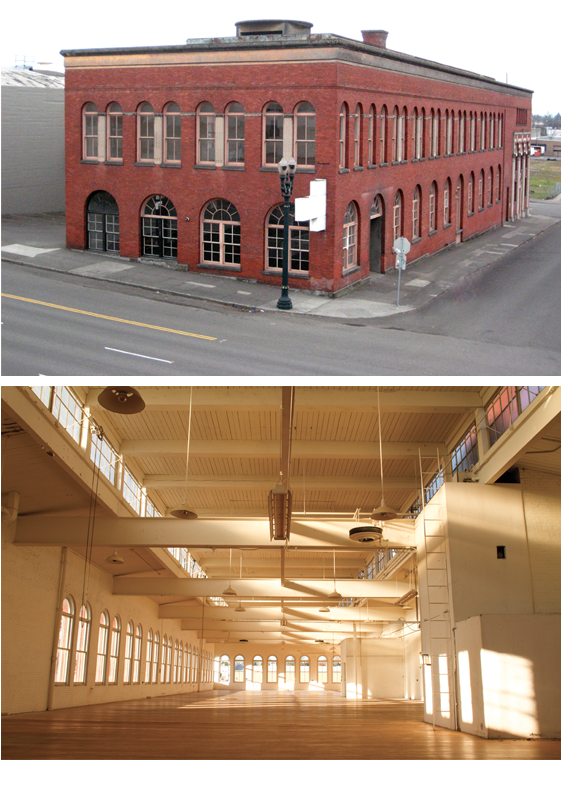 We're holding the event at the YU Contemporary in the historic Yale Union Laundry Building in SE Portland, a cavernous two-story brick building within easy walking distance to some of the best restaurants, microbreweries, coffeehouses, and bars in town. Conference passes. These are limited to the seating upstairs, and may not last long. Backers at this level also get an XOXO shirt and early access to the talk videos. The DIY Kit. Can't make it to Portland? We'll send a little bit of XOXO to you. This kit gives you early access to the talk videos, the downloadable assets for our identity, an XOXO shirt, and a box of goodies we love from Portland-area businesses and creators involved with XOXO. Talk videos. Backers receive early exclusive access to each of our talk videos as they go online. We're working with Portland’s own Factory North on the XOXO identity, including an exclusive t-shirt design for everyone who attends the conference or backs the DIY Kit. Some samples are above, and we'll announce the final design before the Kickstarter project ends. Hey, I'm Andy Baio. I helped build Kickstarter and am a long-time advisor to the team. I've written about Internet culture on Waxy.org for ten years, like making geeky things (see: Playfic, Supercut.org, Kind of Bloop, Upcoming.org), and write a weekly column for Wired. Hi, I'm Andy McMillan. I run a bunch of different projects under the name "Fiction". Right now it's responsible for Build, a week-long festival, and The Manual, a tri-annual journal, both of which have a focus around designing for the web and who we are as designers. Have any questions or comments? Ask a question below and we'll do our best to answer. Special thanks to Paul and Kelly Searle for the video production, and Todd McHatton for the music. Exclusive, behind-the-scenes project updates from organizing XOXO. Early access to all the talk videos, and exclusive project updates. The XOXO DIY Kit — A box of goodies from our favorite Portland artists and makers, an XOXO t-shirt, early access to the talk videos, a digital download of our identity assets, and exclusive project updates. One XOXO Ticket — Full access to conference, festival and fringe, an XOXO shirt on arrival, early access to the talk videos, and exclusive project updates. See you there!